Clare was wonderful! We had a fantastic day and couldn't have asked more of her. Thank you! From the moment we met Clare in the hotel lobby, she was warm and welcoming. She was very passionate about her country, and was glad to show us around. Her years of experience as a tour guide was made apparent by her informative and stimulating explanations of Swiss history, culture, and cuisine. With her detailed knowledge of everything Swiss, I dare say that I've learnt more in a day with Clare than a week wandering Switzerland. Overall, it was a wonderful experience! TOUR GUIDE RESPONSE: Hi Denise and Wayne, it was such a pleasure to meet you and share our beautiful region with you. I hope you are having a wonderful time in Murren and Luzern, and to meet you both again in the future. We had a fantastic afternoon with Clare! She was knowledgeable, well-spoken and friendly, and flexible according to what you want to see. Clare is absolutely fantastic. Not only was Clare super responsive to our email request for a custom tour, but she delivered in spades. Clare has a wealth of knowledge and is eager to share. My husband and I wanted a cheese, chocolate and wine tour around Montreux and could not find anything for a smaller group. Clare was happy to put together a custom itinerary and provided the transportation herself for us and the day went off without a hitch. Thank you, Clare!! Clare is delightful! She has not only great knowledge about her area, but has such positive enthusiasm about her adopted country, Switzerland. We had an excellent tour and would rate her very highly. Delightful tour! Knowledgable, pleasant, a great overview of Montreux! 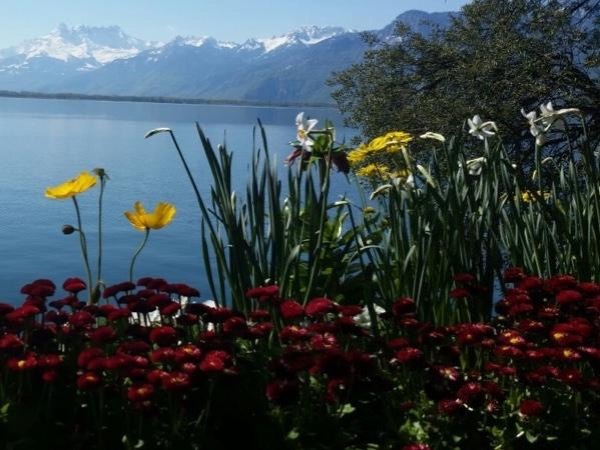 Clare will bring Switzerland to life for you with her knowledge and love of the area. We throughly enjoyed touring Gruyere with her and learned so much about the country and it's people and culture. Clare is so gracious and joyful - a true delight to spend a day with her. She was very helpful in customizing our visit to fit our time and preferences. We highly recommend you book a tour with Clare- it will be the highlight of your time in Switzerland, as it was ours. TOUR GUIDE RESPONSE: Thank you Amy for your enthusiastic and positive review, I wish you a Merry Christmas and Happy New Year and hope to maybe see you again here in Switzerland in the future.